The TN is a wonderful category to achieve quick entry for Canadians and Mexicans without the extra H-1B baggage of a labor condition application (LCA) or specialty occupation analysis. Canadian professionals listed in Appendix 1603. D.1 to Annex 1603 of NAFTA can apply and be admitted to the U.S. under TN work category in a 24-hour period. 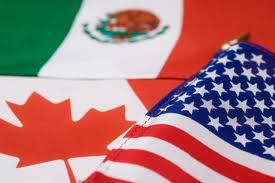 The TN is also useful Canadians and Mexicans who have used up their allotted L-1 and/or H-1B time. When presenting a TN application at a POE/PFI, the application paperwork should be straightforward and streamlined. You need to bring proof of your Canadian or Mexican citizenship, a detailed letter describing the professional activity as it appears in 8 CFR 214.6, documentation of the credentials as listed in Appendix 1603.D.1 (a resume is recommended), and application fee. The application must include every item required in 8 CFR 214.6(d). Upon issuance, the TN employee will receive a “multiple-entry” I-94, a stamp in the current passport if the applicant has one and a fee receipt. In our practice, we recommend clients always to carry a copy of the employer letter with them, in addition to the I-94, whenever they need to re-enter the U.S. This has proved useful, especially when the TN professionals will be re-entering through various POE/PFIs in the course of the year for which the I-94 is valid because it confirms the basis for the original approval at any other port. The spouse and children applying for TD status as dependents must present evidence of Canadian or Mexican citizenship and of the relationship to the TN principal such as marriage and birth certificates. Upon proper proof of the principal’s TN status and the spouse/parent-child relationship, these family members will be issued TD I-94s. A sound strategy is to present an application for TN renewal at the POE/PFI where it was originally approved, especially in complex cases where familiarity with the initial approval will be a benefit. This category receives high scrutiny from immigration inspectors because it is one of the two listed occupations under which one may qualify without any formal degree. Although the scrutiny is intense, favorable adjudications are common and numerous. The key to a successful management consultant case is to refer to the definition of consultant as described in the INS Inspector’s Field Manual (IFM). A consultant only advises the company on its development. In addition to the employer letter, our office usually prepares a consulting agreement defining the scope of the consulting activities. The consulting agreement will be signed between the employer and the TN applicant. We find the agreement helpful in establishing that the applicant will not engage in hands-on managing activities and is outside the normal infrastructure of the company. If the applicant has a degree, then the relevance of the degree to the consulting assignment becomes important. In addition to supplying a copy of the degree, a transcript with specific course work and all relevant post-secondary focused experience is helpful. If the applicant does not have a degree, experience letters should be obtained to document to minimum five years of experience. A detailed resume highlighting the applicant’s previous industry experience should also be included. This category requires a baccalaureate or post-secondary diploma/certificate and three years’ experience. POE/PFI officers increasingly look for industry-specific degrees and/or diplomas/certificates. Many individuals who qualify as computer systems analysts have degrees in business, mathematics, and engineering, instead of degrees that read “Computer Science”. If this is the case, we usually ask for the client’s transcript to see what computer-related courses appear. Alternatively, we will try to obtain academic program equivalence. An academic equivalence is a statement by a competent credentials evaluator that the individual possesses the academic background to qualify as a computer systems analyst. This has nothing to do with employment experience, but only with academic achievement. Providing an academic equivalency can give evidentiary support and create a favorable record. Please also be advised that just because a document is entitled “diploma/certificate” does not mean the individual has earned the required two or three years of post-secondary studies. Therefore, the credentials presented should be accompanied by an official school transcript that shows a two- or three- year course of study. Additionally, you must be able to prove three years’ experience in the field of systems analysis. This is usually accomplished through letters from former employers or colleagues. This group includes executives and managers who seek to enter in order to run businesses at various levels and who may have degrees in business, commerce or other fields of studies. TN schedule does not specifically list either Executive or Manager. Applicants seeking admission to manage financial operations, who do not otherwise qualify for L-1A status, should consider to be presented as economists or accountants where possible. The actual professional duties that will be performed by the individual are what establish eligibility for the TN. This is a creative way to use the argument that USCIS often applies to challenge H-1B petition – it is not the title of the position that controls, but the actual duties performed. NAFTA regulations make it clear that the presumption of immigrant intent under INA 214(b) applies to business persons admitted under NAFTA. However, there is no limit on the number of extensions of stay a TN professional may be granted. Denials of TN extension on the ground of immigrant intent are rare. Self-employment is clearly prohibited under NAFTA. NAFTA regulations warn that the TN provisions do not authorize the establishment of a business or practice in the United States in which the professional will be self-employed. If there is an issue of self-employment, applicants should consider the L-1, E-1, or E-2 category.